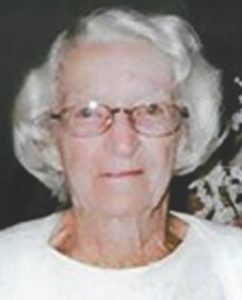 Doris Doris L. Daughtrey Hargis, 90, of Englewood, FL passed away March 31, 2018. She was born February 22, 1928 in Arcadia. Doris and her husband, Terry, owned the first motel in Boca Grande, The Tarpon Inn. She was an avid fisherman, hunter and owned a successful lawn care service on Boca Grande for many years. Doris is survived by her one son, Terry K. (Lee) Hargis Jr of Englewood, FL; granddaughter, Erika Kristen (David) Johnstone of California; grandson, Joshua King (Jean) Hargis of California; great grandsons, Aden and Camden Hargis of California, Jason Hargis and Trenton Avery of Texas; several cousins, nieces and nephews. She was preceded in death by her husband of 58 years, Terry K Hargis Sr.; daughter, Donna Hargis and grandson, Jason Hargis. Memorial service will be held at a later date. In lieu of flowers, memorial donations may be made to Sonrise Baptist Church, 11050 Wilmington Blvd Englewood, FL 34224. Arrangements are with National Cremation Society of Port Charlotte.